This is a copy of a publication in the International Encyclopedia of the Social and Behavioral Sciences, Second Edition, edited by James D. Wright. Elsevier, 2015. Please cite as: Deflem, Mathieu and Samantha Hauptman. 2015. "Policing." Pp. 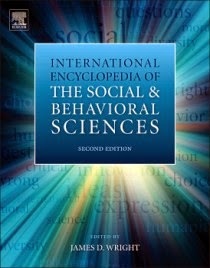 260-265 in International Encyclopedia of Social and Behavioral Sciences, Second Edition (Volume 18), edited by James D. Wright. Oxford, UK: Elsevier. Policing organizations and activities are an important component in the wider constellation of crime control and criminal justice in society. This chapter reviews fundamental aspects of policing in terms of the following categories: the history of police systems; the functions and organization of policing; the relationship between policing and the community, including its cultural dimensions; the styles and strategies of policing and the role of technology; and the impact of globalization on the form and content of policing. Policing refers to the whole of structures and processes in society that are associated with the control of crime and the maintenance of order. The history of the police function is not stable over time, and policing models and activities are not across societal contexts. The use of the term policing is itself in fact not universally valid as other languages have no equivalent one-word expression for the activities association with the police function on the basis of the verb associated therewith and instead exclusively rely upon the noun police or a similar term Additionally, it is to be noted that the concept of police is in the social sciences conceived of as an institution (police in the singular), whereas in everyday language the police is more typically understood as referring to the whole of the body of men and women who occupy a particular position (police in the plural). Despite conceptual and associated institutional variability, trends can be observed towards the delineation of policing in association with crime and order objectives. So-called private policing refers to security functions that are fulfilled, in more or less legally restricted ways, by privately owned companies and will not be further considered in this chapter. Sociologically conceptualized within the broader field of the study of social control, defined as the societal mechanisms involved with the definition of and response to deviance and/or crime, the social reality of policing has been explored in relation to a variety of its manifestations and patterns of change and continuity. The majority of insights into the social form and function of policing has come from sociology, with related issues having been explored in history, political science, anthropology, and other social and behavioral disciplines. The specialized treatment of police in the emerging fields of criminology and criminal justice has brought about additional insights into the administration of police as an applied field of study. Historically, most societies have had some form of police institutions and policing activities for a long time in variable meanings related to changing conceptions of political and other forms of authority (Bayley 1985; Fogelson 1977; Manning 1977; Palmiotto and Unnithan 2011; Skolnick 2001; Walker 1977). For much of early civilization, policing practices were informally organized and largely considered a private matter that consisted of little more than groups of citizens banding together to perform local watch duties as a means to protect their community from outsiders. As societies evolved and developed from simple mechanical and typically small communities, in which members are collectively responsible for the adherence to shared values, into complex organic and much larger states, in which specialization and interdependence become prevalent, a range of more formal and institutionalized forms of social control developed. In the West, the last few centuries of the Middle Ages witnessed a period in which several European kings began to appoint public officials to formally assume an administrative role in the enforcement of laws. Yet policing duties were still mostly assigned to ordinary citizens, who remained largely responsible for their own protection and well-being. It was not until communities began to become more organized in the form of cities and national governments, along with complex social changes in the social fabric, that the organization of formal policing practices and institutions emerged. Turning to modern times that began with the rise of the national state, the police function not only becomes more fully institutionalized, it also and importantly changes in meaning. Max Weber (1922) famously defined the state in instrumental terms with respect to the monopoly, within a political community, over the means of legitimate physical coercion, including military and police as the two major, respectively externally and internally directed, components. However, the conceptual connection between police and politics, not to mention the deceptively obvious common etymological origin of both words, should not lead to overlook the fact that police and politics are variably (dis)connected (Deflem 2002). In the European context of national states of a strongly autocratic nature during the 18th and 19th centuries, police were closely aligned with the attempts of autocratic regimes to maintain power. Thus, policing primarily implied activities associated with the control and suppression of political opponents, such as the growing number of democrats, socialists, and other proponents of ideological political systems associated with ideals of democracy and political justice. As national states underwent processes of gradual democratization, the police function expanded and changed qualitatively. Within the Western world and, increasingly with the march of globalization, also in other nations affected by developments or pressures originating there from, the police function has rationalized over time, concomitantly with the democratization of national states, in the form of the modern bureaucracy (Deflem 2002). Manifesting a broader trend of societal rationalization towards the adoption of efficiency standards at the exclusion of other principles of conduct, bureaucratized policing practices are qualitative different from pre-modern forms with respect to both means and objectives. Specifically, the means of policing become geared towards the reliance upon purposive-rational standards, such as scientific methods of criminal investigation and other aspects of police technique, while the objectives of policing become gradually detached from the political goals associated with the might of national states in favor of the development of distinctly criminal enforcement objectives. Thus, modern policing is not only increasingly based on efficiency principles, it also becomes gradually detached from politics. Although the separation of police from politics is never absolute, the modern police function has rationalized in this particular sense in those societies that are democratically organized and that have achieved a modicum of peace. Conversely, under conditions of an absence of or decline in the democratic qualities of government in states or under conditions of warfare and similar occurrences of extreme societal upheaval, police institutions face pressures to once again align more closely with politics. The functions of policing are not exclusively related to the understanding of police as law enforcement (Bittner 1990; Manning 1977; Palmiotto & Unnithan 2011). Although many contemporary societies have organized police institutions that are formally referred to as law enforcement agencies, the relationship between police and law cannot rightly be conceived in terms of the enforcement of law alone. In the centuries leading to the formation of European national states, in fact, the policing function was very broadly conceived on the basis of a system of a concept of government that included many different functions related to well-being, welfare and the health and happiness of people (Deflem 2002). Policing thus included a wide variety of social roles intended to regulate human interaction and maintain the social (rather than merely the legal) order in matters as diverse as crime and murder, health, education, religion, trade, and fire. Over time, policing gradually became restricted to criminal enforcement duties, while other social security functions were delegated to specialized institutions no longer conceived of as police, such as fire brigades, food inspection agencies, and the like. The contemporary, more delineated conception of police in terms of crime control relates to the fact that police may carry out formal sanctions against acts of deviance that have been explicitly codified in systems of criminal law. Controlling crime, only formal police institutions are allowed, under specified circumstances, to rely on force, including deadly force. Broader policing functions, however, remain even in modern times, such as in the case of the regulation of traffic and the delivery of other social services. A high degree of professionalization is an additional characteristic of modern police (Walker 1977). Uniformed police officers have become the typical representatives of policing, while police agencies are organized as a paramilitary, hierarchical organization. The degree of the military nature and style of formal police institutions to this day varies across societies. In continental Europe and nations with policing systems imported there from, police can be very militaristic and highly centralized as a close ally of the military. Prototypical of these organizational forms are the French force of the gendarmerie and similar such military-style policing organizations in other continental nations. In recent times, there has been a trend in these societies towards a demilitarization and/or an elaboration of civilian police models, especially at the local level, which co-exist with earlier developed national police systems. Other nations, notably the United Kingdom and the United States, have a police system that originates from distinctly civilian forces that were primarily organized on a local level (Dempsey and Forst 2014; Mawby 1999; Palmiotto and Unnithan 2011; Skolnick 2001). In the United States, the sheriff is prototypical of this form. In the United Kingdom, professional police organizations began to develop from the mid-eighteenth century onwards alongside of important societal changes, especially industrialization, increasing crime, and urban social disorder. In 1829, British Parliament, under advice of the citizenry, passed the London Metropolitan Police Act, which created a civilian police force for the city of London. Led by Home Secretary Sir Robert Peel, the new professional force was based on the notion that a cooperative relationship should exist between the police and the community they are meant to serve. Although initially seen as an external and hostile force, the new police organization gradually found acceptance among the citizenry and the system was adopted throughout the country. Turning the United States, policing in colonial America embraced a night-watch system that was borrowed from the British and first established in Boston in 1636. Although the system initially spread to other large cities along the East coast, eighteenth-century developments of industrialization, immigration, and an upsurge of incidents of disorder, especially of crimes related to a general increase in mobility, brought about an elaboration of police institutions at different levels of government (local, state, and federal) without a national police that has jurisdiction over the whole of the nation. Instead, local policing in the United States is executed at the municipal and county levels, administering social control over a limited jurisdiction in view of a variety of tasks, including service, order maintenance, crime control, and peacekeeping functions. In all U.S. states except Hawaii, state police agencies have jurisdiction over the whole of its respective state with special concern for highway patrol, criminal investigation, and local law enforcement assistance. At the federal level, an increasing number of U.S. law enforcement agencies has come to exist, each with narrowly defined and highly specialized enforcement tasks. Intimately related to its social control function, the police enjoys a special relation to the community of citizens it is meant to protect and serve and the cultural dimensions of both the police force and society at large. To some extent, police institutions will develop a structural position and cultural disposition that is uniquely tied to its function and organization, but at the same time policing will reflect broader societal characteristics of its structural and cultural context (Bayley 1985; Scott 2009; Skolnick 2001). With respect to the relation of policing to the wider community, police officers can be perceived in variable ways as either more distant from or more closely aligned with the citizenry. This relative degree of distance and proximity is influenced by structural characteristics, such as the military nature and degree of centralization of the organization of formal police institutions, by culturally conditioned attitudes on the proper and legitimate role of police in society, as well as by situational circumstances related to personal and group experiences with crime and crime control. Because much police work, especially in the realm of crime control, by necessity must rely on information and other forms of cooperation from the public, it is critical for policing to develop and maintain fruitful relations with members of the community. For this reason, there has been a trend in the past few decades towards the development of so-called community policing strategies that are explicitly aimed at fostering close relations between police and members of the community (Dempsey and Forst 2014; Greene and Mastrofski 1991). Unlike traditional policing models in which the police officer is conceived of as a professional whose expertise can create a distance with the public, the objective of community policing is to build an equal partnership between the police and the community on the basis of mutual trust and support. Beyond a mere improvement of public relations, community policing requires a problem oriented approach that is based on the specific concerns that exist in a community on diverse matters ranging from crime control to safety concerns and various aspects of wellbeing. The community is thereby ideally involved in both proactive and reactive ways. Modern proactive policing strategies, especially in the United States and the United Kingdom, have witnessed an expansion in recent years in the form of intelligence-led policing whereby decisions for police to intervene rely upon the assessment of crime risks (Ratcliffe 2008). Related prevention-oriented models can involve broken-windows policing techniques that adopt a zero-tolerance approach towards minor infractions in order to prevent major crimes from occurring (Kelling and Coles 1996). Related to the community structure, policing poses interesting issues in terms of the cultural characteristics of the society in which police institutions are established as well as with respect to the development of a police culture with distinctive characteristics (O'Neill, Marks, and Singh 2007). Cultural dimensions of the community influence the effectiveness of policing inasmuch as a degree of legitimacy is by definition required of all forms of authority. The police profession has in this respect typically enjoyed a less favorable standing than the military, especially with respect to symbolic standing, as police officers are typically in many societies across space and time held in less esteem than soldiers. Additionally, culturally differentiated subsections of society may hold sharply different perspectives of policing. Most notable in this respect are the often strained relations between police and members of minority community, such as recently arrived immigrants and a variety of diverse ethnic, religious and otherwise culturally defined groups. Among the most striking examples of cultural issues of policing, mention can be made of the organization of policing in the colonial context, the policing of racial minorities, especially African-Americans, in the United States, and the policing of minority groups of Arab descent and/or Islamic faith across many parts of the world since the terrorist events of September 11, 2001. As a result, efforts are often made to increase the diversity within police agencies in order to gain a better understanding for minority populations and foster an open dialogue with a wide variety of members in the communities they serve (Dempsey and Forst 2014). Such initiatives also seek to address the discriminatory nature of police work that has been found to exist with respect to cultural and other relevant characteristics (Black 1980). The cultural aspects of police organizations themselves have been found to be sufficiently specific and distinct from the wider societal context that it is useful to speak of a police culture or a culture of policing (O'Neill, Marks, and Singh 2007; Palmiotto and Unnithan 2011). The typical characteristics of the culture of policing relate intimately to relevant functions of social control. Police officers may develop and display an ‘us-versus-them’ mentality in their dealings with the public, due in large part to the fact that police are typically only called upon when a negatively defined situation occurs, thereby exposing them to the effects of criminal conduct, victimization, violence, problematic occurrences. As police agents are also uniquely authorized to use force and, at once, not necessarily treated with respect or understanding, citizens do not always display positive sentiments towards them. In response, a strong sense of social solidarity and cohesiveness promotes an independent police culture segregated from the rest of society. Among the possible negative implications, corruption and other forms of police misconduct may exist without effective ways to redress the problems that are posed (Corsianos 2012; Sherman 1978). The infamous code of silence that characterizes many police agencies may additionally prevent accountability. Besides cooperation with the citizenry, policing activities rely upon a wide range of strategies and technological means that involve different aspects of police work and manifest changes in police function and organization (Dempsey and Forst 2014; Palmiotto and Unnithan 2011). In matters of method, various strategies and styles of policing can be differentiated, such as proactive and reactive policing, and overt and undercover police work. In pursuit of investigative objectives, police agencies rely on a number of methods to supervise, control, and gain access to the community. Traditionally, the agents of formal police agencies relied upon minimal tools, such as a nightstick or a baton, and could not maintain communications with one another outside the police station. Advances in technology, in particular the development of police radio systems, would later allow agents build a communications network. Depending on the style of policing, officers were uniformed and armed with a variety of firearms. In terms of patrol in the community, the development of methods such as foot patrol and vehicular pursuit are important elements to shape the variable ways in which policing can be effectively conducted. Police agencies have historically and until this day typically been organized in distinct locales such as police stations that are responsible for specified jurisdictional areas typically referred to as police precincts. Police can then be contacted and called upon by citizens by such means as police call boxes or emergency phone numbers. Citizen access to police is highly variably across societies and over historical time and has been found to be a critical component of accountability in policing, especially in democratic societies. In response, policing methods have been developed that rely on rapid-response teams, assisted by two-way radio systems and the extensive use of police cars. Technological advances in telephone technology, particularly the widespread availability of cellular phones, has in most recent years brought about a considerable increase in the number of calls to police. Reactive strategies of policing are complemented by proactive methods meant to prevent or deter crime. The development of proactive methods has gradually been accelerated through the development of methods of citizen support, such as neighborhood watch, seeking to prevent crime from occurring. Additionally, the reliance on technically advanced systems of data gathering and investigative aids have contributed to policing strategies of surveillance that are widely dispersed throughout society. The installation of video-cameras in streets and buildings is the prototypical manifestation of proactive surveillance in many contemporary societies. Besides security tools and technologies of transportation, policing has greatly been influenced by the development of systems of criminal identification (Deflem 2002). Originally, modern police organizations relied upon photographs and descriptions of the facial and other physical features of criminal suspects. From the late 19th century onwards, the use of fingerprints, which were held to be unique and permanent, became standard practice among police. Fingerprint identification data were also numerically expressed so that they could be shared among police by means of telegraph. Computerization has eventually brought about digital forms in which data could be stored and shared by means of electronic fingerprinting techniques. In most recent decades, DNA identification has been added as the technically most advanced method to identify suspects. The rise of digital-information computers has brought about important changes in policing (Manning 2008; Dempsey and Forst 2014). Most all modern police agencies utilizes computers at various levels of operations, giving police organizations the ability to tailor technology to supervise the community by means of a wide array of surveillance tools. Additional advanced technologies in contemporary policing include computerized reports, both at police stations and in police vehicles and crime mapping technologies such as geographic information systems of a variety of variables associated with criminal incidents and crime patterns. The use of video cameras and other data-collection techniques adds to the intrusive qualities of policing that have historically been most typically associated with covert methods relying on undercover agents (Marx 1988). Undercover tactics are applied in a variety of settings, typically involving crimes of a hidden nature, such as illegal drug use, or crime taking place in specific communities such as the world of organized crime. The multiple goals of undercover policing include intelligence gathering, crime prevention, and the infiltration of suspect groups. Beyond its investigative objectives, undercover police work involves deception, thus making it, by its very nature, ironic from the viewpoint of the common perception of uniformed agents of social control. Undercover and proactive means of policing have been found to correlate inversely with traditional covert means of policing, the number of restrictions that are placed on the legitimate use of particular reactive methods, such as deadly force, and the extent to which police can legitimately resort to search and seizure procedures without due process and judicial oversight. Among its problematic implications, undercover policing may ironically contribute to an increase in crime by creating opportunities for criminal conduct to occur. Variable in function and organization over the course of history, policing also differs across national states and other delineated jurisdictions in relation to important societal characteristics such as political, economic, and cultural factors. At the same time, general trends and patterns can be observed as well (Mawby 1999). Globally, the centralized structure of policing is the most common organizational style, existing in the democratic countries of continental Europe but also in former totalitarian regimes such as the Soviet Union. Strikingly, national states with an autocratic past, such as France and Germany, tend to continue to rely on policing institutions in the modern era that can be very similar in form and organization to their historical predecessors. Developing nations, including countries in Asia and Africa, as well as traditionally Islamic countries employ centralized police systems whereby a central police headquarters, typically located in the nation’s capitol, has command over all other, subordinate police units (Sadykiewicz 2005). The centralization of police power can in variable ways co-exist with a likewise centralized nature of the accompanying political and legal systems. A decentralized policing structure, conversely, divides enforcement duties among police units at local and higher levels of jurisdictional authority without the existence of a national police. The U.S. system of law enforcement typifies the decentralized policing model, whereby a host of local, state, and federal agencies operate independently and often have specialized agencies that serve a variety of functions. Considered globally, police decentralization is uncommon except in most industrialized English-speaking countries. Police decentralization is in such national cultures also often associated with the safeguarding of democracy as a political ideal and the preservation of individual rights of liberty, such as the freedom of movement and the free expression of ideas. In democratic societies, police are a central and arguably the most visible institution in charge of guarding social order, aiding in the socialization of the citizenry and serving as both moral and legal social control agents that operate under prevailing jurisdictional laws (Bayley 2001, 2005; Sklansky 2008). Harmonizing with the understanding of democracy as involving an intimate relation between government and public, the democratic role of police assumes a balance between government authority to enforce laws, on the one hand, and the accountability to the public, on the other. At the same time, police must be responsive to the needs of society while working towards a cooperative relationship with the community. Democratic police organization is therefore often associated with community-policing and similar styles of police in order to involve and gain support of the public. The democratization processes that can be observed in recent decades in several parts of the world have brought out the relative independence of policing systems. The transition to democratic systems of policing has indeed proven to be challenging for countries with vastly different political systems, such as the former Soviet nations and formerly repressive police states like South Africa and Iraq. The implementation of democratic principles where police agencies were once highly politicized to exist as a repressive tool of the state impedes the support of the public. In cases where there is a lack of financial or technical resources, the likelihood of success to establish accountable systems of police is compromised as well. The growing interdependence among national states and otherwise confined jurisdictions has historically led to the development of a variety of international policing practice (Deflem 2002). With the growth of national states in Europe, international policing was initially developed for political purposes to maintain autocratic rule, but gradually began to focus on distinctly criminal enforcement tasks. By the early 20th century, police agencies of various nations began to develop permanent cooperation structures and the bilateral and multilateral level, including the formation of Interpol as the International Criminal Police Commission in 1923. In the drastically changed international constellation of the post-World War II era, international policing expanded greatly on a variety of concerns, such as the international rendition of fugitives, the global drug trade, border control, and the importation and exportation of police techniques across national boundaries. International policing activities take on multiple forms, ranging very informal to highly structured methods (Casey 2010; Deflem 2002; Deflem and McDonough 2010). Unilateral international and otherwise trans-jurisdictional strategies tend to be preferred as police agencies can thereby maintain control over their operations and the proper ways of execution. Cooperative efforts among police at various jurisdictional levels are typically initiated on a need basis, in order to successfully complete a specific investigation, and tend to be limited in terms of the number of participating agencies from other jurisdiction among police and related security agencies. Organizations of multilateral cooperation, such as Interpol and the European Police Office, can rely on a range of partners from across many different nations, but they are strictly collaborative in nature and do not involve the creation of a supranational police force. Over the past decade, no matter has affected policing more than the focus on terrorism that has been propelled, more than by any other incident, by the events of September 11, 2001 (Deflem 2010). In the wake of the 9/11 terrorist attacks, police agencies in the United States as well as many other nations in the world have drastically enlarged and re-oriented enforcement objectives towards the suppression of terrorist groups and individuals. In the United States, by example, the Department of Homeland Security has been established to coordinate a multitude of security agencies involved with protecting the borders and security of the country, most notably the newly created U.S. Immigration and Customs Enforcement (ICE), which has begun to rival the FBI as the premier federal American law enforcement agency. The policing of terrorism as a criminal law enforcement matter complements other counterterrorism strategies, especially those that are of a military nature and oriented at the protection of national security interests under the heading of the so-called War on Terror. Police agencies in some nations remain closely aligned with political and military institutions, counterterrorism policing is tightly controlled by centrally organized governments in the furtherance of political power. In many democratic nations, however, police agencies are engaged in counterterrorism efforts on the basis of a depoliticized understanding of terrorism as a form of criminal conduct. Relative to military and related intelligence organizations, moreover, police agencies can rely upon extensive networks of international cooperation that are formed irrespective of the differences that may exist among nations in political and other respects. With an eye towards the future of policing across the world, it can be safely postulated that policing will unquestionably remain an important component of crime control and order maintenance. Even as globalization processes continue to expand in political, economic, and other respects, policing systems can be expected to continue to exhibit nationally and regionally variable characteristics. Moreover, as the world as a whole and its various national states and other constituent parts can only be assumed to further increase in scale and complexity, policing in the contemporary era of globalization will continue to expand and entail multiple forms and strategies in an increasingly complex manner. Bayley, D.H., 1985. Patterns of Policing: A Comparative International Analysis, Rutgers University Press, New Brunswick, NJ. Bayley, D.H., 2005. Changing the Guard: Developing Democratic Police Abroad, Oxford University Press, New York. Bittner, E., 1990. Aspects of Police Work, Northeastern University Press, Boston. Black, D.J., 1980. The Manners and Customs of the Police, Academic Press, New York. Casey, J., 2010. Policing the World: The Practice of International and Transnational Policing, Carolina Academic Press, Durham, NC. Corsianos, M., 2012. The Complexities of Police Corruption, Rowman & Littlefield Publishers, Lanham, MD. Deflem, M., 2002. Policing World Society: Historical Foundations of International Police Cooperation. Oxford University Press, Oxford, UK. Deflem, M., 2010. The Policing of Terrorism: Organizational and Global Perspectives. Routledge, New York. Deflem, M., McDonough, S., 2010. International law enforcement organizations, in: Kethineni, S. (Ed. ), Comparative and International Policing, Justice, and Transnational Crime. Carolina Academic Press, Durham, NC, pp. 127-148. Dempsey, J.S., Forst, L.S., 2014. An Introduction to Policing, seventh edition, Delmar, Clifton Park, NY. Fogelson, R., 1977. Big-City Police. Harvard University Press, Cambridge, MA. Greene, J.R., Mastrofski, S.D., 1991. Community Policing: Rhetoric or Reality, Praeger, New York. Kelling, G.L., Coles, C.M., 1996. Fixing Broken Windows: Restoring Order and Reducing Crime in Our Communities. Martin Kessler Books, New York. Manning, P.K., 1977. Police Work: The Social Organization of Policing, The MIT Press, Cambridge, MA. Manning, P.K., 2008. The Technology of Policing: Crime Mapping, Information Technology, and the Rationality of Crime Control. New York University Press, New York. Marx, G.T., 1988. Undercover: Police Surveillance in America, University of California Press, Berkley, CA. Mawby, R.I. (Ed. ), 1999. Policing Across the World: Issues for the Twenty-first Century, UCL Press, London. O'Neill, M., Marks, M., Singh, A.M., (Eds) 2007, Police Occupational Culture: New Debates and Directions. Elsevier, Amsterdam. Palmiotto, M.J., Unnithan, N.P., 2011. Policing and Society: A Global Approach, Delmar Cengage Learning, Clifton Park, NY. Ratcliffe, J.H., 2008. Intelligence-Led Policing. Willan Publishing, Cullompton, UK. Sadykiewicz, M., 2005. Police structure: Centralized/decentralized, in: Haberfeld, M. R. (Ed. ), Sullivan, L.E. (Ed. In Chief), Encyclopedia of Law Enforcement, Sage Publications, Inc., Thousand Oaks, CA, pp. 1250-1253. Scott, J., 2009. Police–Community Relations, in: Miller, J. (Ed. ), 21st Century Criminology: A Reference Handbook. SAGE Publications, Inc., Thousand Oaks, CA, pp. 823-833. Sherman, L.W., 1978. Scandal and Reform: Controlling Police Corruption, University of California Press, Berkeley, CA. Sklansky, D.A., 2008. Democracy and the Police, Stanford University Press, Stanford, CA. Skolnick, J. H., 2001. Policing, in: Smelser, N.J., Baltes, P.B. (Eds. ), International Encyclopedia of Social and Behavioral Sciences, Elsevier, Oxford, UK. Walker, S., 1977. A Critical History of Police Reform: The Emergence of Professionalism, Lexington Books, Lexington, MT. Weber, M., (1922) 1958. Bureaucracy, in: Weber, M., From Max Weber, Oxford University Press, New York, 196-264.